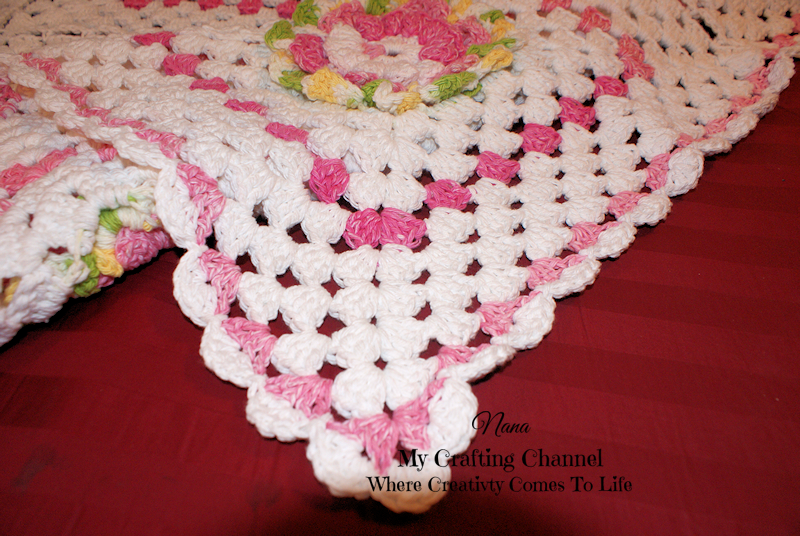 For this challenge I crocheted this beautiful Afghan throw for my sister for her birthday. I fell in love with this design the moment I saw it. I love the 3D flowers. I used the same yarn in the same color as Ruby did on the video. 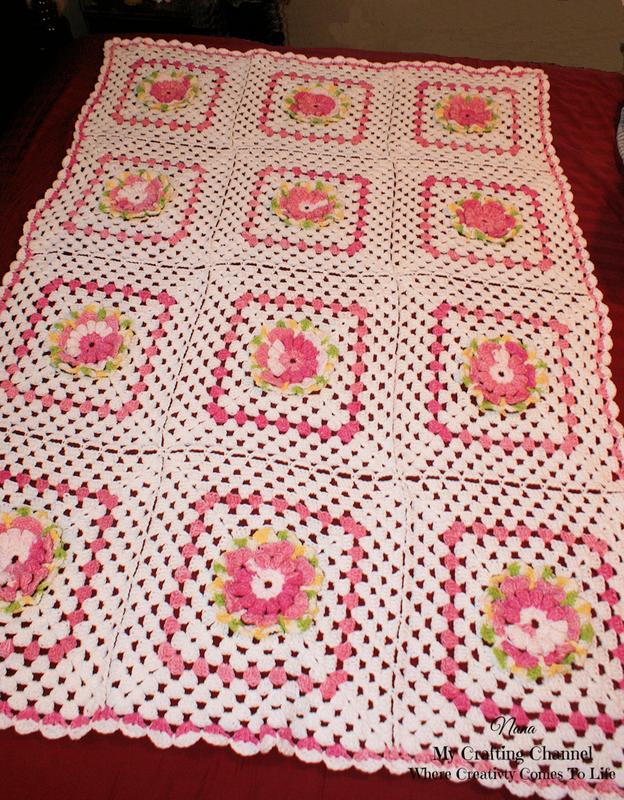 I just finished it last night after almost 2 weeks of non stop crocheting. Her birthday is March 3rd, however, it will be a few days late. I under estimated the time I it would take. WOW!! It's beautiful! I love the color combo and Gorgeous flowers. Your sister will LOVE it! I do!! Nana, this is just gorgeous! The 3D flowers are beautiful! Wow, I am sure your sister will love it and treasure it for a lifetime! What a sweet and thoughtful gift! 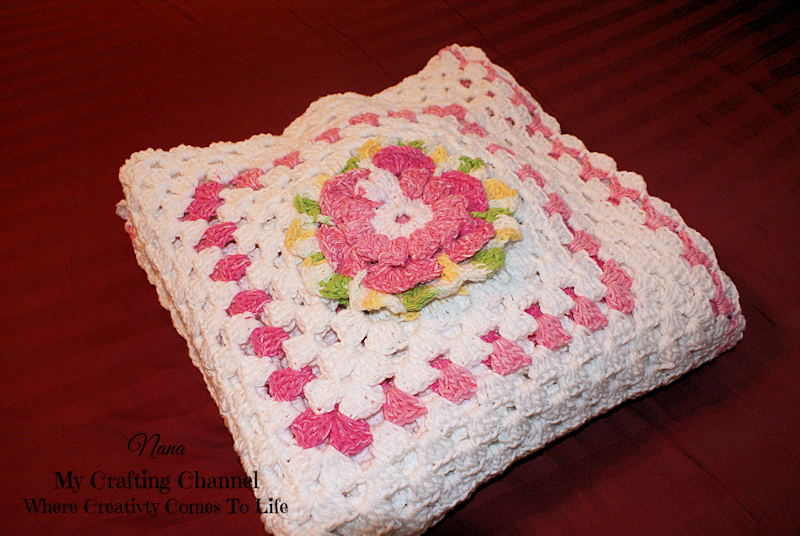 Crocheted blankets like this become family heirlooms. 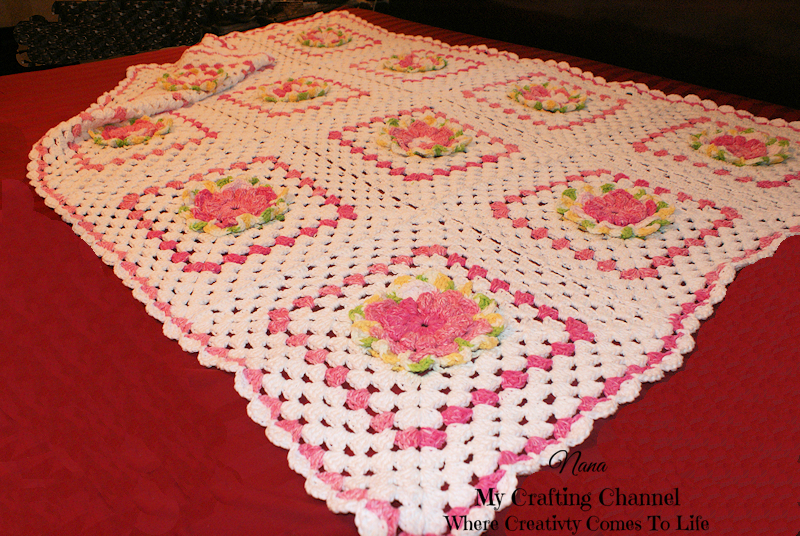 I love the large white squares with popped up colorful flowers. Nana, you have so many talents. Thank you for sharing. WOW WOW WOW!! This is gorgeous!!!! What a beautiful color combo!!!! Oh my this is so beautiful! I just love your beautiful crochet work! WOW This is so BEAUTIFUL!!! Your sister will love this!!!!!! Have a great day. This is absolutely gorgeous, I just love it!!!! You did a wonderful job and made it fast! Your sister will LOVE IT!!! !